When it comes to your website, you can’t afford to overlook anything that’s going to give you a leg up on your competition – and that includes your online content writing. But if you feel like yours is a little stale, you’re having trouble coming up with topics, or if you’re just not sure what makes for “good” content, check out our 11 tips that will shoot you to the top of your game – and of search results. Good writing fosters an instant connection with its readers. Think about who you’re more likely to take advice from in “real life:” the totally stiff, unapproachable guy in an ill-fitting suit, reading the same statistics you’ve heard 1,000 time off a slide? Or your best friend, who is leveling with you in a way you understand, who isn’t trying to impress you, and is giving you the inside scoop on a topic you were already curious about? First of all, the Internet isn’t a classroom – and while your online content writing should still teach your readers a lot about your products and services, the style in which it delivers that information needs to be concise, in plain English, and even a little playful in tone. A good tip: write your blog posts like you’re banging out an email to a close friend. Use the second person (i.e. “You”) when you refer to your customers like you would a buddy. If your readers wanted a Harvard-level acadmeic lecture, they would have bought tickets for that. Don’t make your posts rocket science, keep it accessible to everyone. Let’s get real: you’re probably a lot more likely to choose an option to watch a video online than read an article (remember how excited you used to get when it was “Documentary Day” in middle school science class?). Also: Online content writing that incorporated a video saw revenue of a site grow by 49%. Videos can also be embedded into keywords in your written content, so you can use the opportunity to tell your readers more about a specific product’s features, give them a visual clue-in as to how it looks, and give their eyes a break from reading all that text. How you introduce your online content writing matters. A good headline tells your readers what each section of your article will cover, incorporates keywords, and breaks up your text. Since 80% of readers don’t bother to continue with your article after reading the headline, try asking a question, bringing up a specific problem, or even tying in a current event to keep them on your page. We get it: at the end of a long day at work, the last thing you want to do is come up with online content writing topics for your blog posts. The great thing is that access to those ideas, especially when it comes to figuring out what your customers actually want to read, is all around you. A great place to start: asking your customers questions directly. Not only is this an awesome way to encourage direct engagement with your brand (and maybe even to boost social media shares if you choose to write about a customer’s topic of choice) but it will give you valuable insight into your target market. Figure this out by including a comments section on your blog, by ending posts with questions, by creating polls and incorporating them into your online content writing, and even by creating an “industry advice colum” where people can write in and get their FAQs answered. Not only will this establish you as an authority and allow you to get to know your customers, it’s also just fun. Apply that same strategy to your content writing. Having another person, whether it’s a professional editor, another writer, or even just a coworker on a lunch break, run their eyes over what you’ve written won’t just help you catch spelling mistakes. It will also show you if you’ve written any unneeded filler or “fluff” that you can cut out, (anything that makes your articles more consice is always a good thing) allow you to ask questions about the readability of your content, and offer you insight into what a reader might want more of in the article. 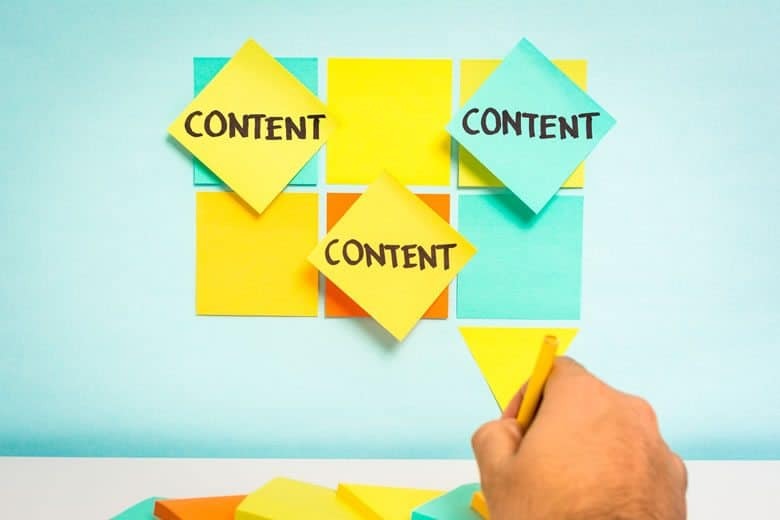 According to a recent study, while 88% of businesses agree that online content writing is important and have a casual approach to their content marketing plan, only 32% have a documented plan of action. Guess which type is going to be more effective? Look, as easy as it would be to just toss out a keyword-stuffed blog post on a topic you’ve already written about five times and call it a day, doing so only wastes your time – and that of your readers. Make a schedule for topics you want to write about – and stick to any deadlines you’ve created. Also, be sure you’re researching current topics in both the online content writing world and in your industry in particular – showing you’re up to speed on current events, market trends, and industry lingo all makes a difference when someone is deciding if they want to work with you or your competitor. It’s not just your tone that matters in online content writing – it’s also the length of your articles that affect if your reader will finish them. Even if readers make it past your headline, only half of them will actually finish your text. This has a lot to do with the intimidation caused by huge blocks of texts that aren’t broken up by images, videos, or just spaces. Breaking up your text about every 2-3 sentences makes it appear shorter – meaning people will be far more likely to actually read it. These days, you can write about anything – and in a variety of ways. Make your articles ranked lists, bullet-pointed fast facts, longer thinkpieces, even online quizzes to help your customers figure out which product or service of yours they can’t live without. Statistics show that over 250% of online content writing should be backed up by statistics from trusted sources. Yeah, you probably didn’t believe that either. If you’re going to make claims about data in your content – which is a great way to earn the trust of your readers and prove that you keep your finger on the pulse of industry facts and figures – you have to back it up. Link to reputable sources (so, not some random tumblr you found while scrolling through cat pictures) that are current and backed by studies conducted by authorities in the field. Quotes from big names in your field are also an awesome way to prove a claim you’re making, or at least to back it up. Oh, and we shouldn’t have to say this, but don’t “create” your own data (ie: lie) to back up claims you make in your content. Doing so isn’t just shady, it’s a great way to get in serious trouble and to lose your customers. Online content writing should focus just as much on social media content as it does on blog posts on your site! Facebook alone has over 1.65 billion users. You can check out trending topics on social media and comment on them, adding your voice to an important and popular conversation. Plus, social media also allows you to find your customers online and connect with them – and it can be a great way to keep your logo in customer’s heads, leading to higher brand recognition. Not only do you not have time to be the one person at your company that’s doing all the online content writing – if you keep it up, all your content will start to sound the same. How many times have you been to a dinner party with friends, only to roll your eye’s when that guy from the Christmas party starts the same story he tells every single year? Yeah, don’t be that guy, and don’t let him anywhere near your content. Not only will hiring and working with a variety of different writers make things less exhausting for you, it will also make your company sound like it has the financial prowess to hire a large group of professional writers instead of going with a DIY approach. OK, so you’re at least on your way to becoming one. We know that for some people, no matter how much you teach yourself about it, writing still won’t come easily. Don’t sweat it – and don’t settle for lifeless, mediocre content that’s going to drive traffic away from your page. To get online content writing that works for your customers and your business, hire the services of a professional.